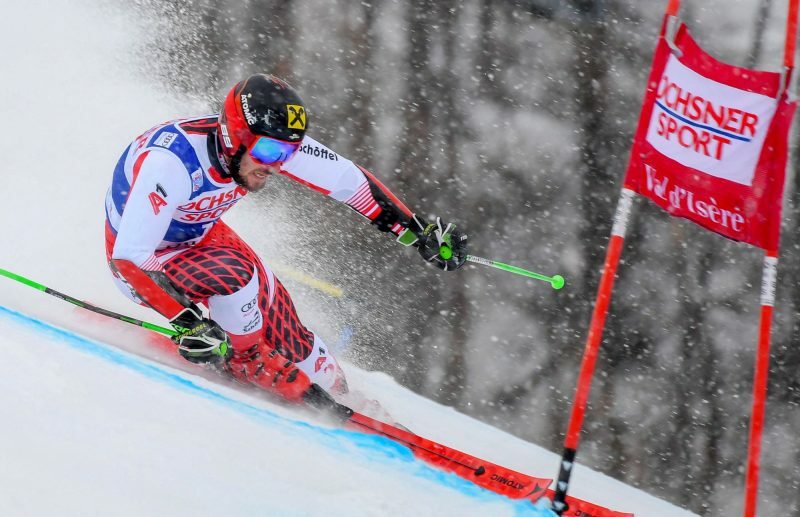 Austria’s Marcel Hirscher quickly returned to winning ways at Val d’Isere at the weekend, taking a landmark 60th World Cup win with an impressive 1.18-second winning margin over second-placed Henrik Kristoffersen. Hirscher is second in the men’s all-time wins table behind Sweden’s Ingemar Stenmark who won 86 times between 1975 and 1989. He’s fourth in the table for men and women with American Lindsey Vonn on 82 wins and his fellow Austrian Annemarie Moser-Pröll, who raced between 1969 and 1980 winning 62 races. Hirescher is also the winner of a record seven consecutive World Cup titles and has also won nine medals at the Alpine Skiing World Championships (six gold) a silver medal in slalom at the 2014 Winter Olympics and two gold medals in the combined and giant slalom at the 2018 Winter Olympics. It’s a busy few days before the Christmas break for Hirscher. This weekend, there will be two races in Italy’s Alta Badia with GS and Parallel-GS, followed on Thursday, December 20 with the giant slalom race postponded from Sölden on October which will now be staged in Saalbach-Hinterglemm. Finally on Saturday December 22nd the last slalom before Christmas will take place at Madonna di Campiglio.